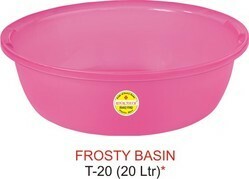 We are leading manufacturer Basin 15 Frosty Tub. 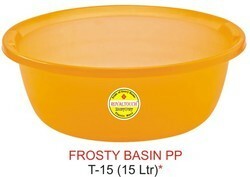 We providing a wide range of Basin 15 Frosty Tub to our client. Plastic tub 17 ltr. Capacity in frosty finish with shine. Frosty colours- blue / green / pink / orange / clear. Plastic tub 27 ltr. Capacity in frosty finish with shine. 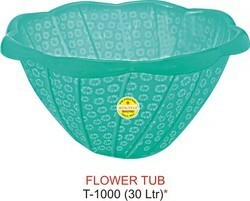 Plastic tub 22 ltr. Capacity in frosty finish with shine. 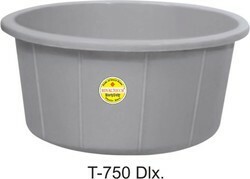 Plastic tub 27 ltr.Capacity in frosty finish with shine. 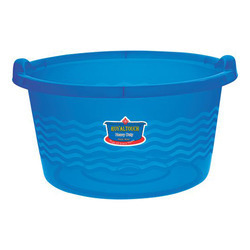 Plastic tub 34 ltr. Capacity in frosty finish with shine. Plastic Bath Set is best deal as they are functional as well as decorative.Having mirror finish, these rust proof plastic Plastic Bath Sets are designer choice for home decor. Glass embedded with elegantly designed metal frame makes a perfect collection of exquisite and eye-catching glass Plastic Bath Sets. These bathroom set have stunning patterns with contemporary and classical designing. Cost-effective and highly functional, stone Plastic Bath Sets are the widely used and preferred choice as the bathroom accessory. Functional and decorative, plastic bathroom set are user-friendly, easy to clean, moisture resistant and dampness resistant. Appropriate to enhance the grandeur of bathroom the elegantly carved SS MOP Plastic Bath Sets are highly durable and functional. Product Description Fully functional and a must for contemporary bathrooms, this range of plastic bathroom sets is designed to maintain the aesthetics.